A quick and effective tool to cleanly remove the insulation on MTW/THHN/THWN-2 cable without nicking the wire. Clover design features four different sizes (350, 500, 600 and 750 MCM) in one tool. Simply insert the cable and twist for precise, clean cuts. The robust design ensures long tool life. 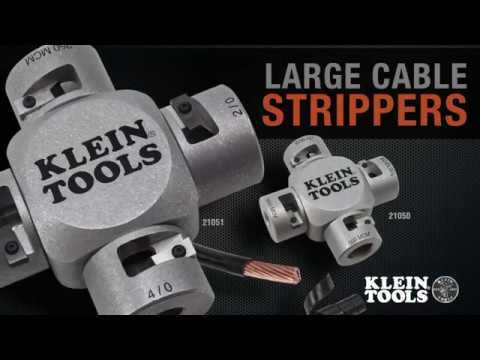 Stripping cables has never been easier and safer.